Hurry Up! Enroll Now and Book your Seat. 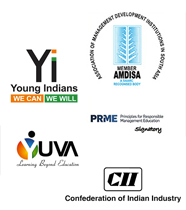 All participants will receive certificate from NSE-VESIM on successful completion of the program. The workshop is primarily targeted at faculty members, research scholars and analysts in the area of social science particularly finance, marketing and management science. The workshop will be hands on learning using Eviews, Gretl, MS Excel and Stata. MIC Website : http://www.mic.gov.in/live.html and we are arranging the event in VESIM Campus. 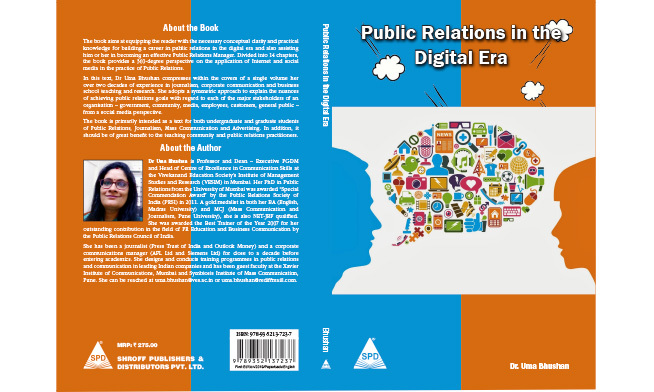 Professor and Dean of Executive PGDM, Dr Uma Bhushan has published a book titled "Public Relations in the Digital Era" with ISBN number 978-93-5213-723-7 in Jan 2019. The book is intended as a primer for graduate and undergraduate students of mass communication on the practice of public relations using the various social media platforms. The foreword is written by Dr Ajit Pathak, National President of the Public Relations Society of India (PRSI). Dr Uma Bhushan is the first recipient of PhD in public relations in India for which she has received commendation award from PRSI in 2011. She has been a journalist and public relations professional for a decade before moving to academics.